ADAC, the German Automobile Club, has rated the Subaru EyeSight assistance system highly and credits it with being capable of providing reliable protection day and night. The automobile club closely examined the emergency brake assistance systems of six models and brands, including four premium manufacturers. The Subaru Outback convinced with its camera-based EyeSight system across the board. EyeSight came out on top and was the only system tested to achieve full points in all three categories tested – pedestrian, cyclist and night driving. While systems from other manufacturers use various sensor technologies such as camera and radar or microwaves, EyeSight functions purely optically. The Subaru technicians have placed two camera lenses to the left and right of the rear-view mirror that together create a stereoscopic image. The stereo-cameras installed on the windscreen reliably capture pedestrians in dark clothing in un-lit areas – as commonly found throughout rural areas of the United Kingdom and New Zealand – and when needed, initiates emergency braking. Up to a speed of 45kmh accidents can be completely avoided and the severity significantly reduced at higher speeds. Subaru of New Zealand Managing Director Wallis Dumper says that the Subaru brand is a safe option for Kiwis. Along with the internationally-acclaimed EyeSight technology and the across the range five-star Australasian New Car Assessment Program safety ratings, every New Zealand-new Subaru features Symmetrical All Wheel Drive as a standard specification. This engineering feature spreads the driving force across all four wheels, meaning greater control and a safer journey. In addition to the ADAC, further independent test centres such as the American Insurance Institute for Highway Safety (IIHS) confirm the excellent functioning method and reliability of EyeSight. The only brand to achieve maximum points in the IIHS test was the Subaru Outback in the prevention of a frontal collision. The technology also has a positive effect on running costs and insurance ratings. 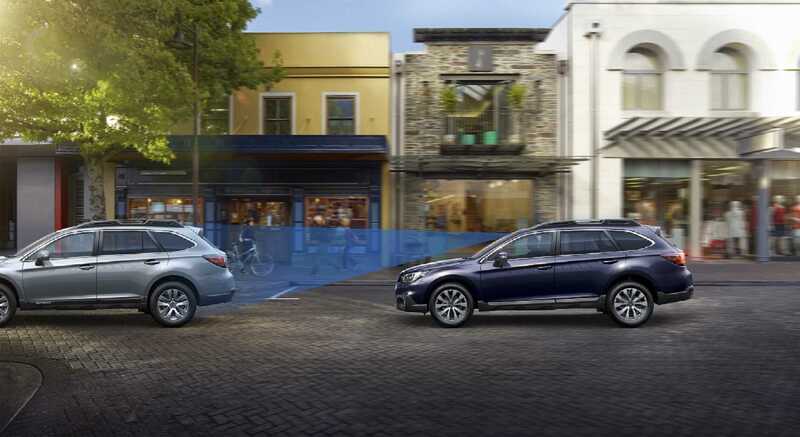 EyeSight is available in New Zealand on all Subaru Outbacks, the Levorg, the Forester Premium and XT, and all Legacy models. Subaru of New Zealand expect it to be available on other models in the future.